This is the third consecutive year that Natasha Bieniek has been represented in the Archibald Prize with a miniature self-portrait. Her work Application uses traditional painting methods to examine the emphasis on image in our digital media-obsessed culture. In 16th-century Italian painting, a raised finger was used to symbolise religious beliefs or to lead the viewer’s attention to a certain point. Here Bieniek uses it to direct the focus back to the individual to underscore the theme of self-portrayal and the widespread exposure of our own image through modern channels. Born in Melbourne in 1984, Bieniek is renowned for her miniature portraits. 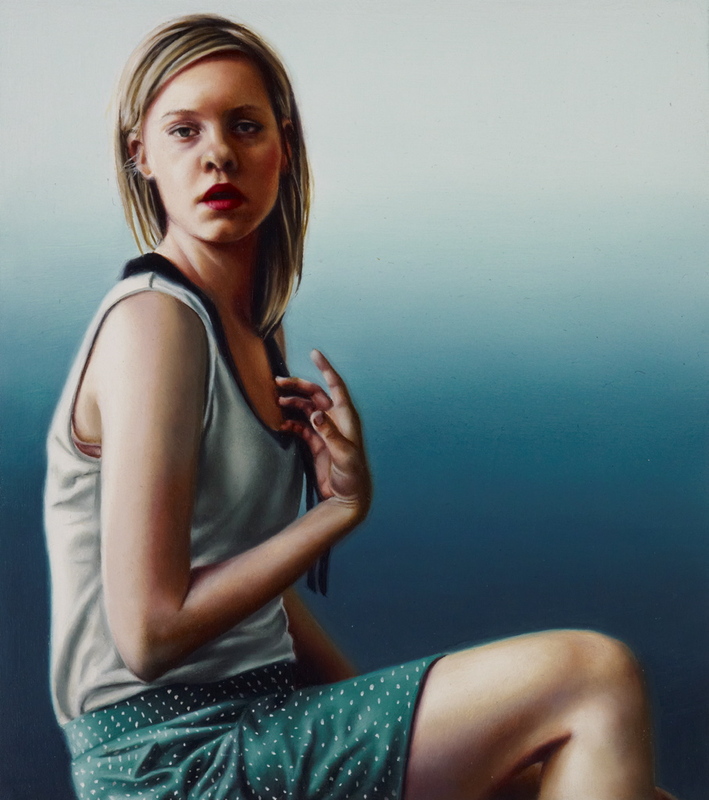 In 2012 she won the Metro Art Award and was runner-up in the Doug Moran National Portrait Prize.